Abruzzo wants to give a strong and clear sign to clean up and enhance our beautiful Italian beaches! It does this through a praiseworthy initiative called “Let’s save our beaches”, where the tourism operators association Lido Riccio di Ortona has promoted this extraordinary operation … there are so many beaches abandoned in all of Italy, real paradises lost and forgotten as the Lido Riccio of Ortona, a blue lagoon set between two steep and verdant hills that end above the sea! Watching the sunset from this piece of sea surrounded by greenery is a priceless experience … you will be enchanted and let yourself be lulled by the heady smell of the sea and the breathtaking view that opens up before your eyes! In the rocky wall of the hill that surrounds the small lagoon, there are ancient caves carved into the rock, where at the time of the first and second world wars, the partisans hid there to escape the Germans! 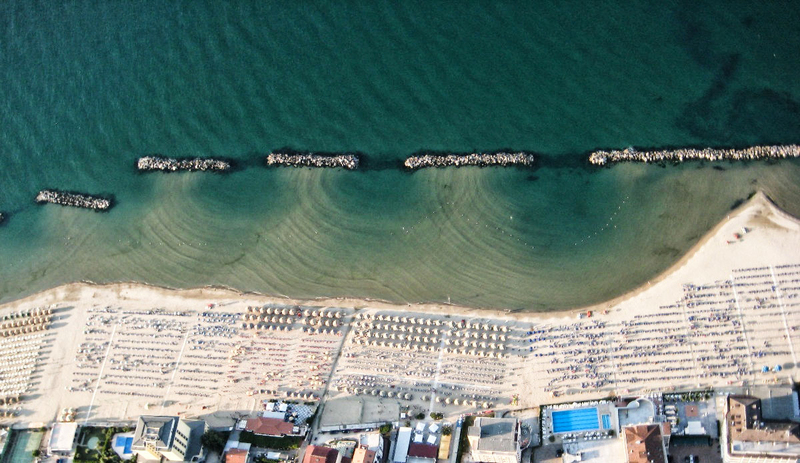 But we know in detail this initiative that the Architect Deborah De Marco, one of the members of the association, is trying to re-evaluate, with an architectural project designed specifically for the site in question, to make it become a window on the Adriatic, plus ‘precisely “the port of the Costa dei Trabocchi”, the first of many other similar initiatives that are taking place!